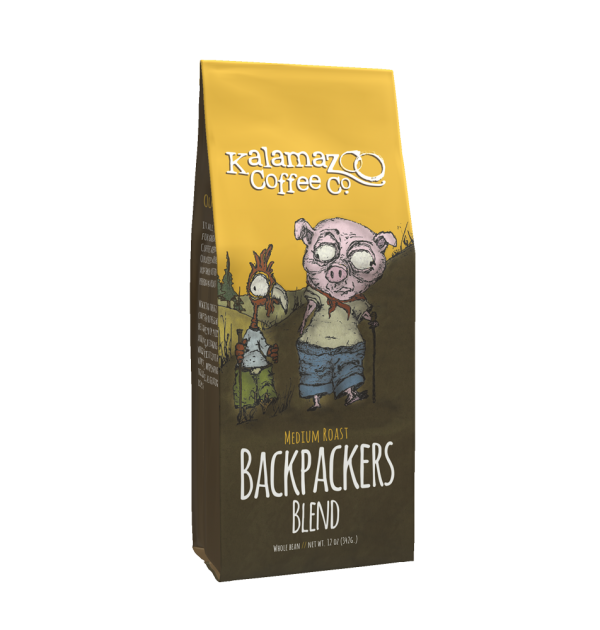 Our best selling coffee to date, Backpackers is a blend of Central American, South American and Indonesian coffees. 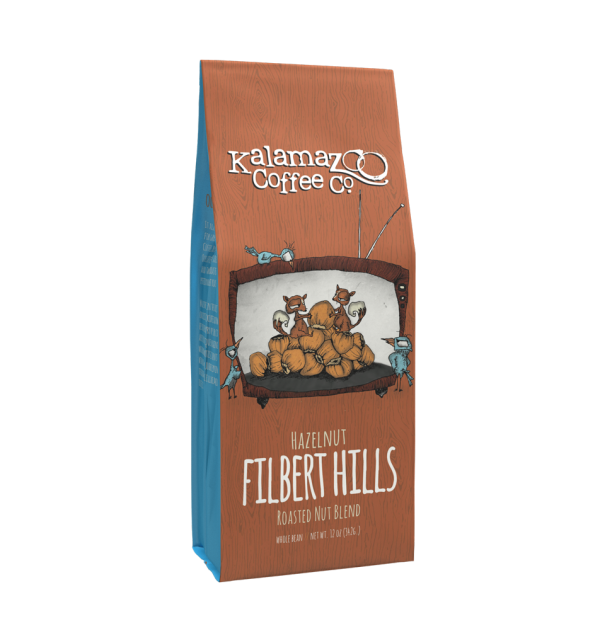 The blend is tailored to ignite the palate with flavors of butterscotch, caramel and chocolate while hosting the overall characteristics of a solid medium roast. 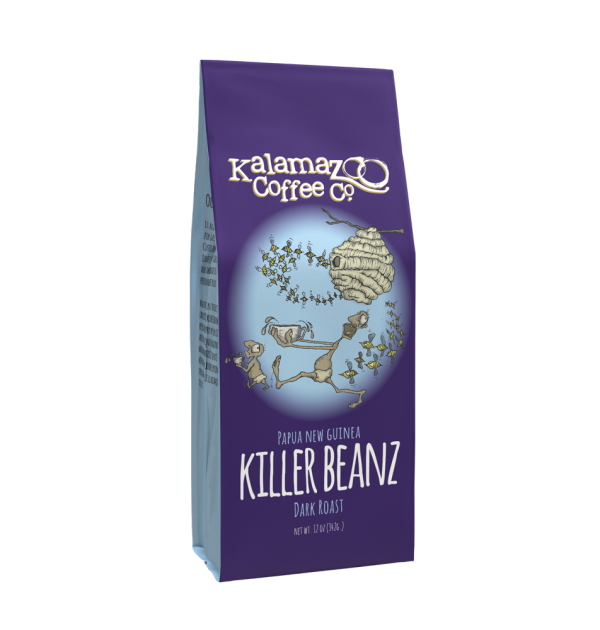 Honestly, I’ve had a lot of coffees, expensive coffee, exotic coffee, just a lot of coffee, but this coffee blend is my absolute most favorite coffee. I recommend it from a French press, worth every penny. This is absolutely the best coffee! Such a nice flavor, I can’t get enough! Highly highly recommend for coffee lovers! I’ve tried alot of coffee, nothing is as good as this one. My grocery store was completely sold out and I am missing this coffee! It’s so stinking good! Saw this coffee at Meijers and gave it a try seeing how it’s a local company. I’m glad I did, It’s my new go to coffee! Nothing more I love than supporting a local business that delivers a great product. I make this coffee in my French press and love it! I wish I could buy this in bulk… it’s THAT good. BEST coffee ever! Wish it came in decaf! 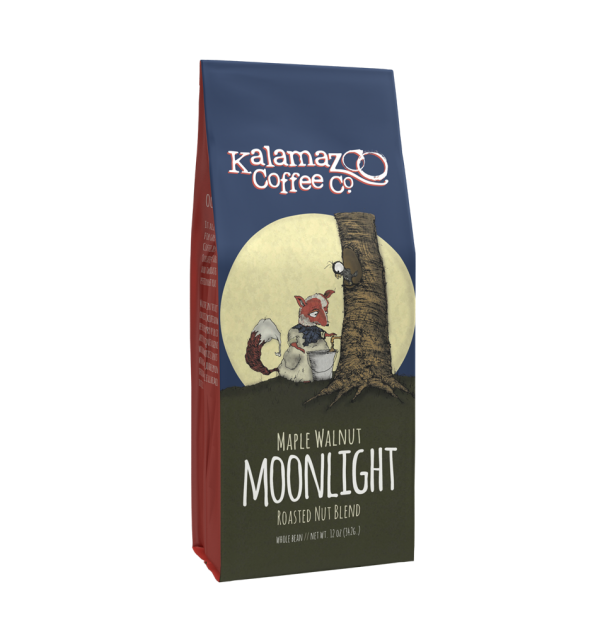 They were taste testing this coffee at Meijers in Traverse City, and I loved it. I bought a bag immediately! On my way home from Makkena I stopped at another Myers to buy a couple of bags, and they didn’t carry it! Now I’m home in Tennessee, and have to order it by mail! Best coffee ever! This one was my favorite of the few flavors that my local Meijer carries. My fiance tried it and literally doesn’t buy any other kind! I happened to be visiting Radiant Church in Richland for a conference and this is what they served. AMAZING. It is probably the only coffee that tastes better black. At the end of the conference they gave out free bags of this stuff and I made sure to stock up since I live in Austin! 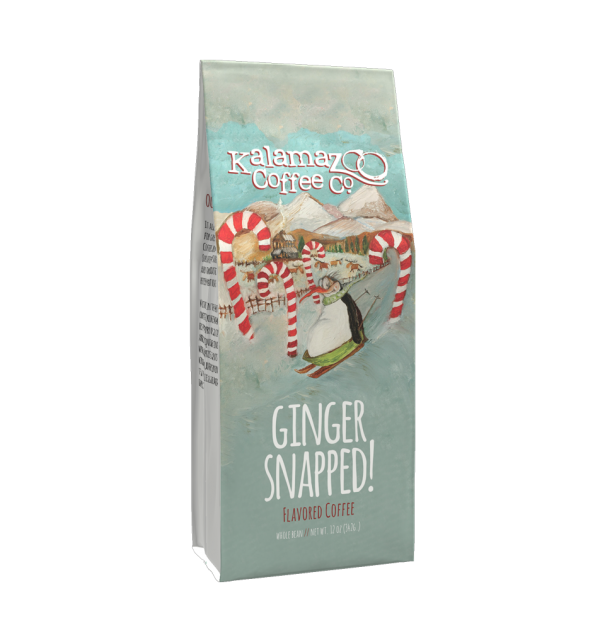 I am hooked now and will be ordering from Kalamazoo regularly! Tried this coffee on a whim while at a Meijers in Cold water, MI on a vacation trip. Hands down the best coffee I have ever had. And we try new coffee brands each time we go to the store. So we’ve tried a lot. Now to get them to distribute to NW Indiana chains! I moved to the Kzoo area in spring of 2015. Not until the summer of 2016 did I taste true coffee. This coffee was and is one of two brews I will only buy now( the other brew being bam bean oh. Also made by kzoo coffee.) 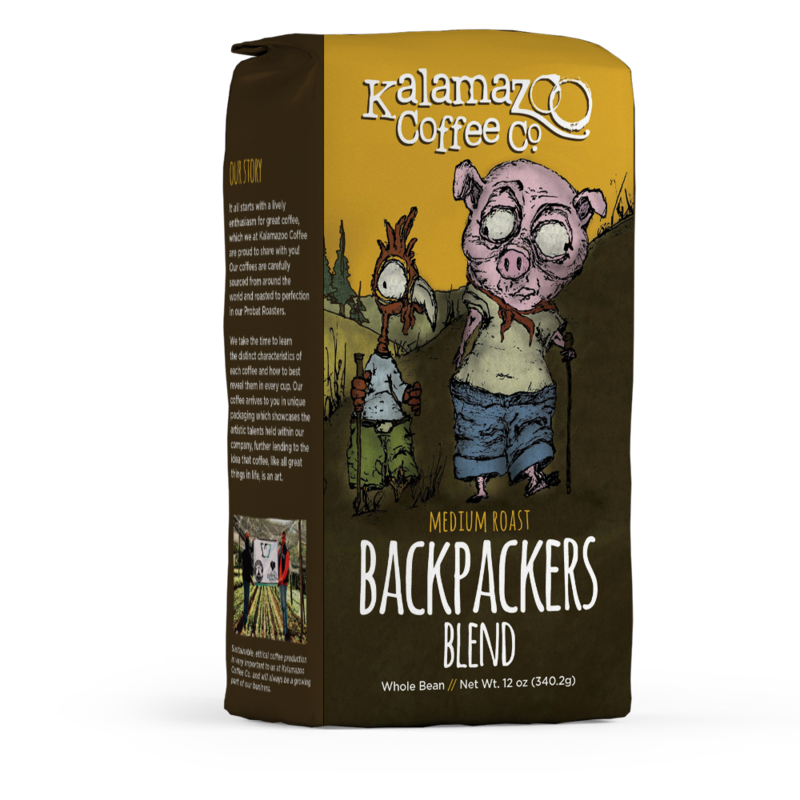 This last Christmas 2017 I sent backpackers blend to my friends in northern New York. Now they are addicted too. Thank you for excellent coffee. I’m a coffee snob, I began ordering coffee beans, direct, and roasting myself. I had grown tired of the horrible taste of stale bagged brands. I find the company with a “Star” in its name to be disgusting and over rated. When I ran across Kazoo Co. Beans, I was amused with the bags, yet skeptical regarding taste, thinking they’d be another nasty “Star” bean! However, unless you try it, you can’t deny it! So I decided to give it a try “and” I was amazed! The Backpackers and Columbian are my favorite, thus far. I’m addicted Kazoo Coffee Co. Keep up the great work!